WASHINGTON -- Fiat Chrysler Automobiles filed a proposed fix to about 104,000 diesel engines that the carmaker predicts will resolve negotiations with the Justice Department and other U.S. regulators. The automaker also applied for diesel-vehicle emissions certification Friday for the 2017 Jeep Grand Cherokee SUV and Ram 1500 pickup, according to a statement. Fiat Chrysler is seeking permission from the EPA and the California Air Resources Board to sell the SUVs and trucks after updating emissions software calibrations. The filing is the culmination of four months of work with the EPA and CARB after the federal regulator alleged the automaker had installed software in 2014 to 2016 model-year editions of the diesel vehicles that violated clean-air rules. The company plans to make the same modification to the emissions-control software in those model-year vehicles that it’s applied to deploy for 2017 vehicles, if regulators approve. 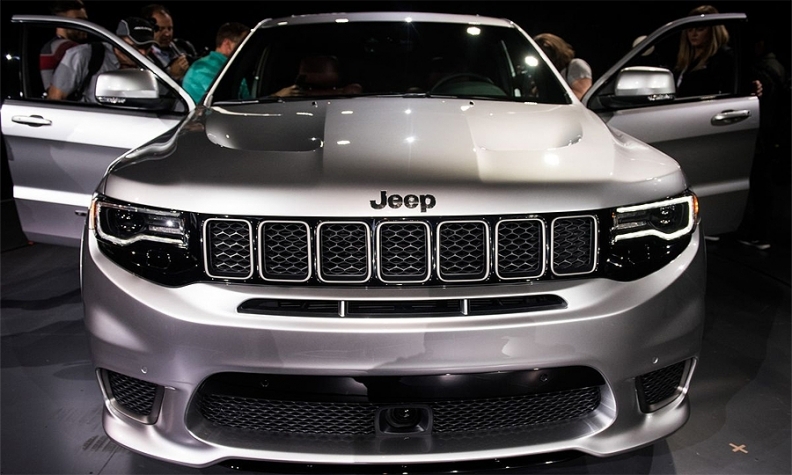 The Justice Department has been preparing to sue FCA if talks fail to resolve differences over the automaker’s alleged violations, two people briefed on the matter said this week. Fiat said in its statement it “believes that these actions should help facilitate a prompt resolution” with the Justice Department. An EPA spokeswoman declined to comment, citing the agency’s policy to avoid discussing the certification status of vehicles not yet approved for sale. Wyn Hornbuckle, a Justice Department spokesman, declined to comment. U.S. regulators have put greater scrutiny on diesel models after Volkswagen Group admitted in 2015 to using defeat devices that turned on emissions controls to pass tests but turned them off during driving. Daimler’s Mercedes-Benz this month halted efforts to get approval for 2017 diesel versions of models including the C-class sedan and GLE SUV, citing an arduous certification process that wasn’t justified given demand for the vehicles. FCA CEO Sergio Marchionne denied the EPA’s allegations in January and said last month Fiat Chrysler may have unintentionally made mistakes.